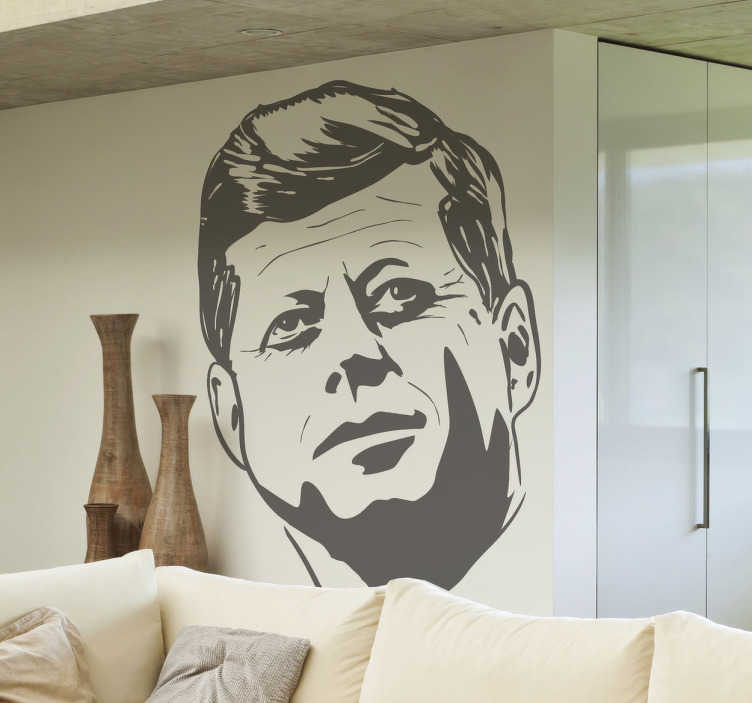 Detailed portrait sticker of the late US President John F Kennedy, who was assassinated in Dallas in the 60's. If you are a fan of American history fan, then this is a perfect sticker for you. Ideal also for museums or even classroom displays. Customize it in a size that suits you.